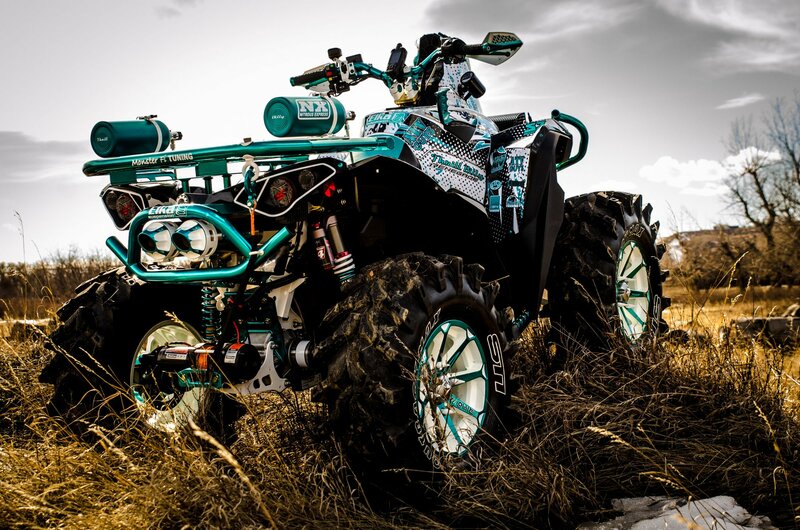 Now black, teal chrome and white, with custom wheels, exhaust, and axles, the “Thrill Billy Cortez” machine is virtually unrecognizable from the black and silver stock model he purchased several months ago. “I had to stop at some point”, Weston says with a laugh. Modifications to the machine are extensive, including custom exotic powder coating - all professionally done by himself in his own shop Thrill Billy Powder Coating - Nitrous, custom designed full body wrap. 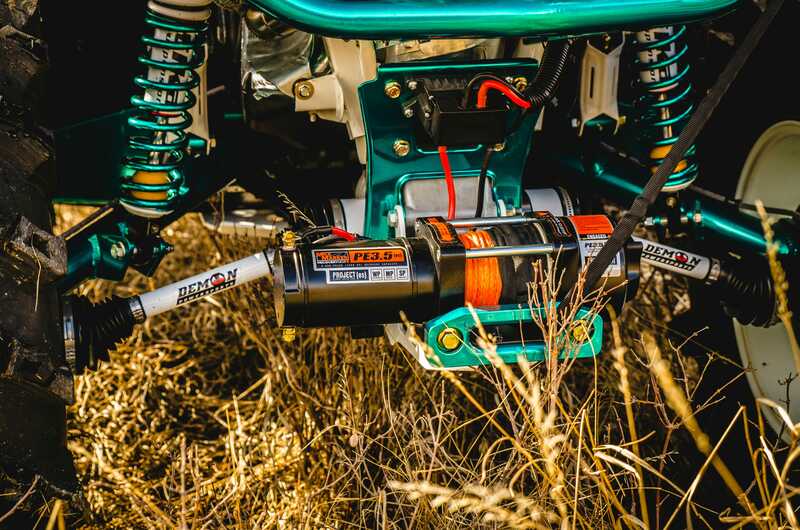 Thrill Billy Cortez’s Can-Am is loaded with powder coated Heavy Duty Demon Axles. They’re constructed of dual heat treated high strength, dual plunge design, TPEE Boots with wider articulation angles. 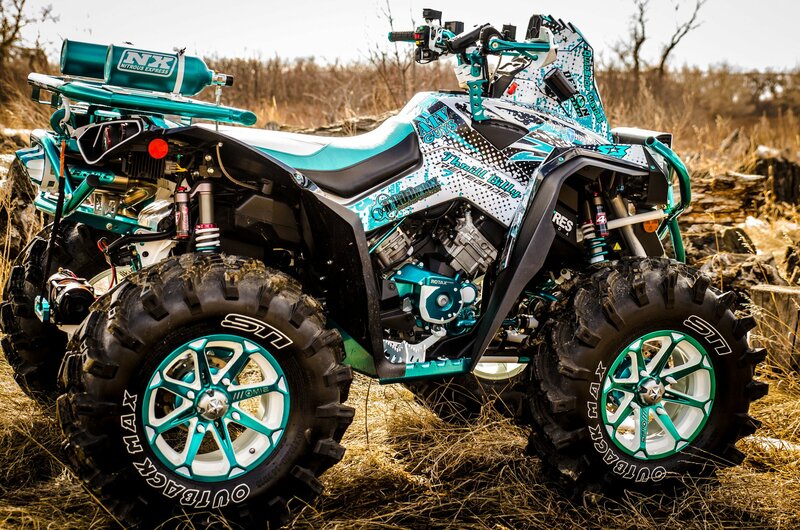 It’s his tenth custom build –the third on a Can-Am machine and definitely his favorite. “This was an awesome project to do, nothing like letting your imagination run wild on a crazy build like this”. Although his custom builds eat up almost every spare moment he has (he estimates this latest project took 250-plus hours to complete), Weston loves the challenge of taking a stock vehicle and altering it. A handy guy already, designing and building Thrill Billy Powder Coating- customization gives him another outlet for his creativity. While Weston plans to enjoy his one-of-a-kind machine, he’s already daydreaming about his next custom build. Stay Tuned for upcoming builds!